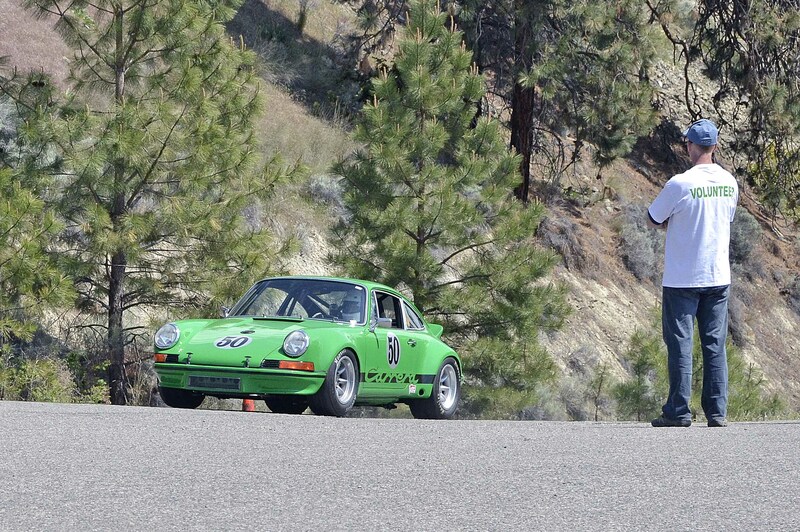 Vintage Racing Club of BC | VRCBC Racers Climb the Mighty Knox! VRCBC Racers Climb the Mighty Knox! 23 May VRCBC Racers Climb the Mighty Knox! 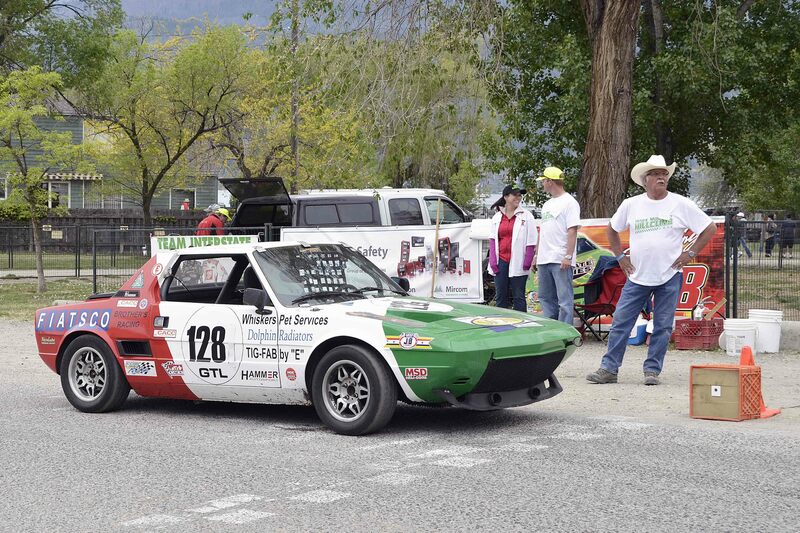 The Victoria Day long weekend was a busy one for VRCBC members. While some were ‘working’ at the All British Field Meet in Vancouver, others were having a great time climbing Knox Mountain in Kelowna. 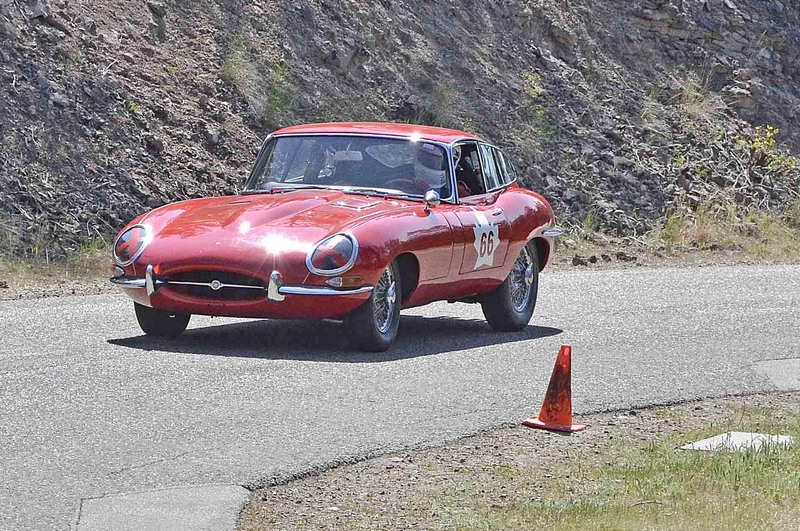 The Knox Mountain Hillclimb is the longest annually running (This year was the 55th!) 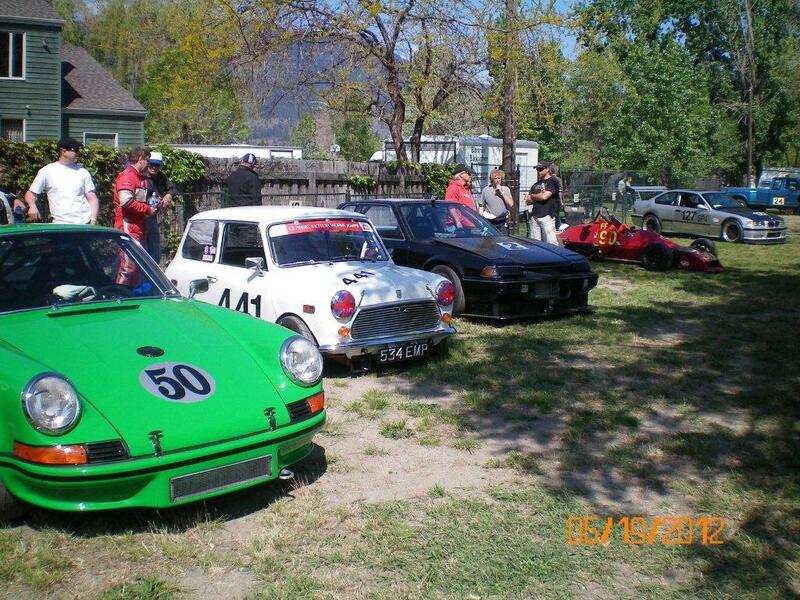 paved hillclimb in North America, and VRCBC members have been participating for many years. This year, it was Frank Winterlik, Geoff Tupholme, Keith Robinson, Evan Williams, Bernie Hamm and Bruce Jamieson carrying the Club’s banner up the challenging 2.2 mile course. 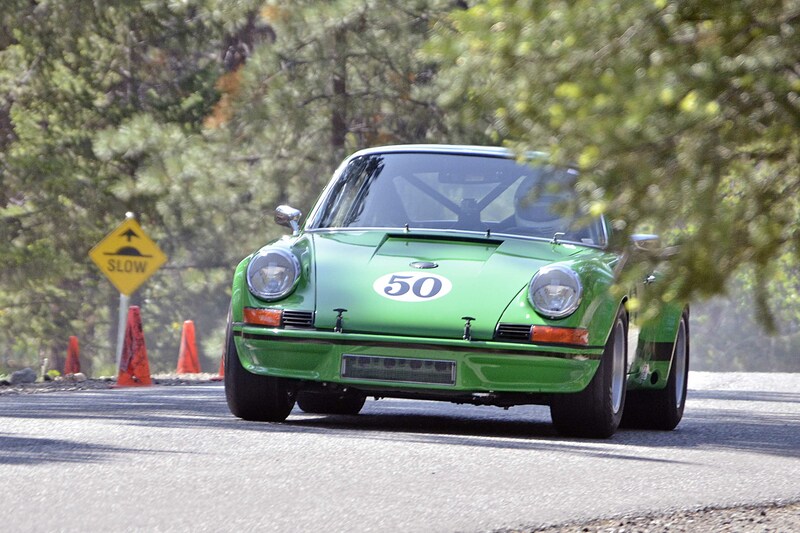 Frank had his 1973 Porsche 911 RSR both looking and running great during the two day event, posting a best time of 2:08.349. 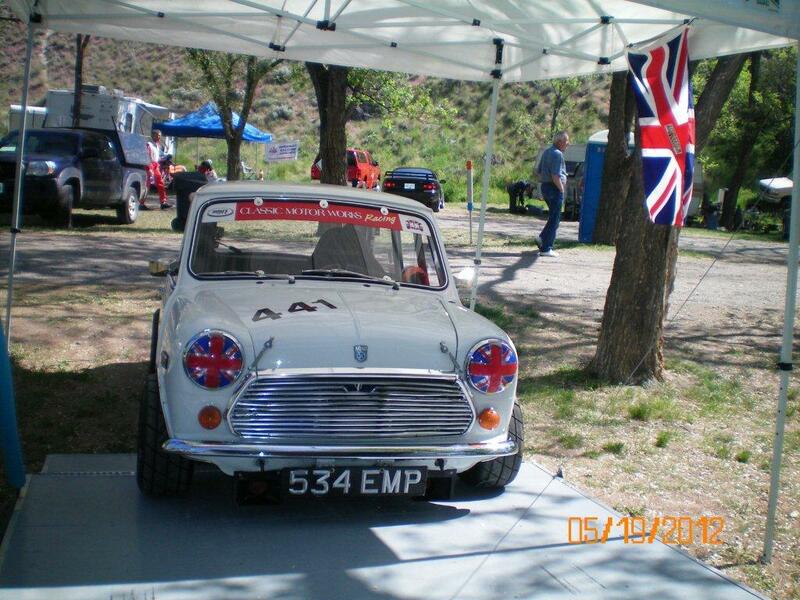 Right behind Frank was Geoff and his quick little 1973 Austin Mini (fighting a plug-fouling mystery) turning a best time of 2:08.416. 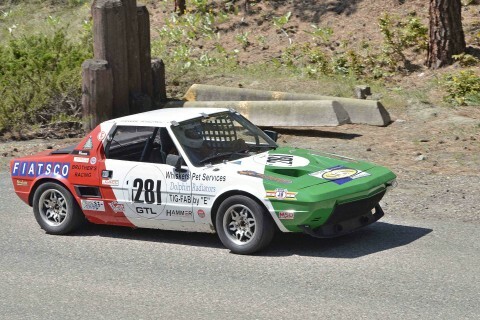 Bernie Hamm with his 1974 Fiat X-1/9 enjoyed his weekend of competition and came through with a best time of 2:27.906. 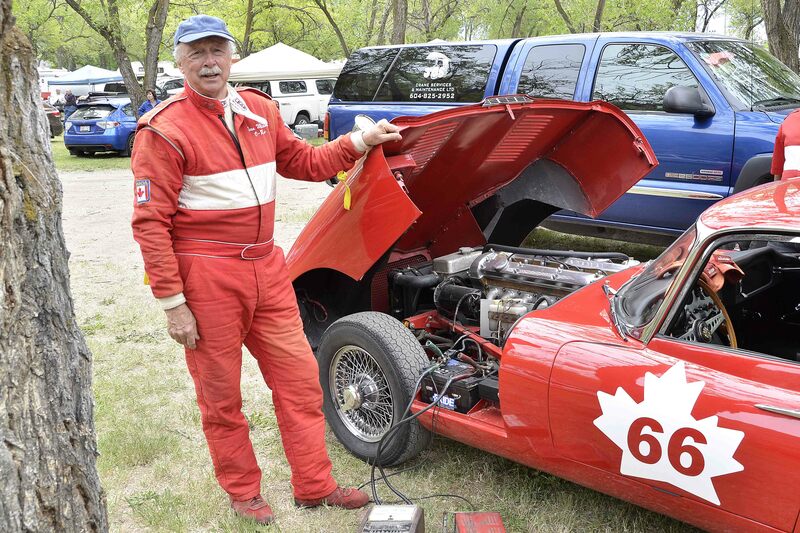 Evan Williams, no stranger to Knox Mountain, brought his 1963 Jaguar XKE to the hill this year. Evan’s best time of the weekend was 2:30.268. 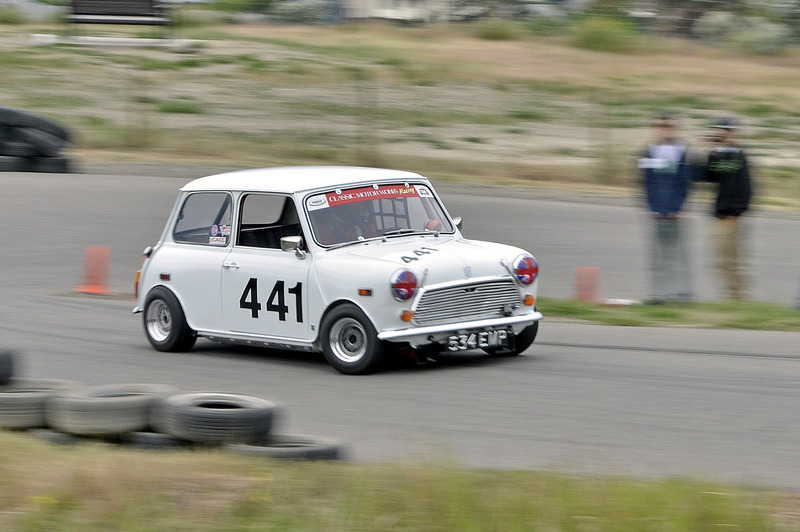 Bruce Jamieson was just getting familiar with Bernie’s Fiat and turned a 2:35.034. Keith Robinson was our only single seater representative this year, driving his 1980 Van Diemen RF 80 Formula Ford to a best time was 2:10.073. The final results are available here. Check below for more photos.